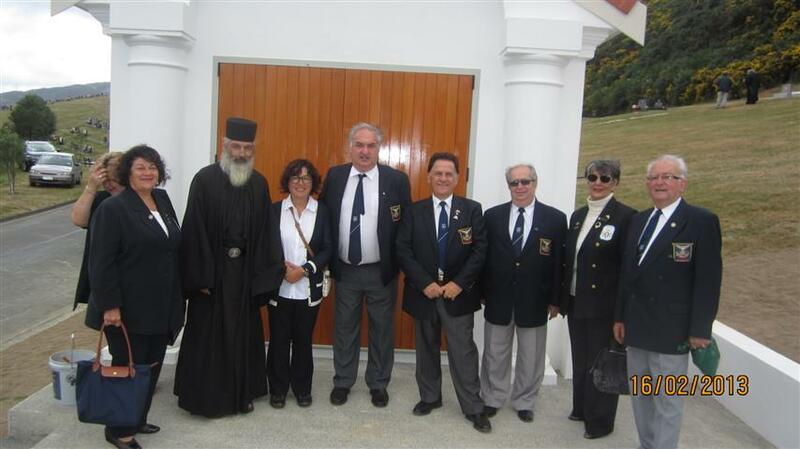 AHEPA NEW ZEALAND builds St Lazarus Chapel! The National President Bro Elias Doufas, accompanied by the Vice National President Sis Christine Lynch, Bro John Theodorides, State President NSW/NZ and Sis Matina Comino, travelled to Wellington NZ to be present at the blessing of St Lazarus Chapel. 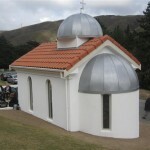 This Chapel was built by the Ahepans and Daughters in New Zealand and was handed over to the Greek Community as a gift from AHEPA. Bro Doufas presented a cheque and pledged more support as donations from various units of Australia. The Australian party also visited the Greek Ambassador and paid their respects for the passing of the Ambassador for Greece to NZ, Mr. Aninos. 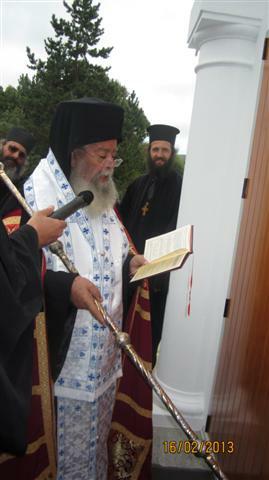 The Chapel was consecrated on the 16th February 2013 with a blessing by His Eminence Archbishop of NZ Amfilochios, together with other clergy from all over New Zealand and was attended by many prominent members of the Greek Community and political figures in New Zealand. 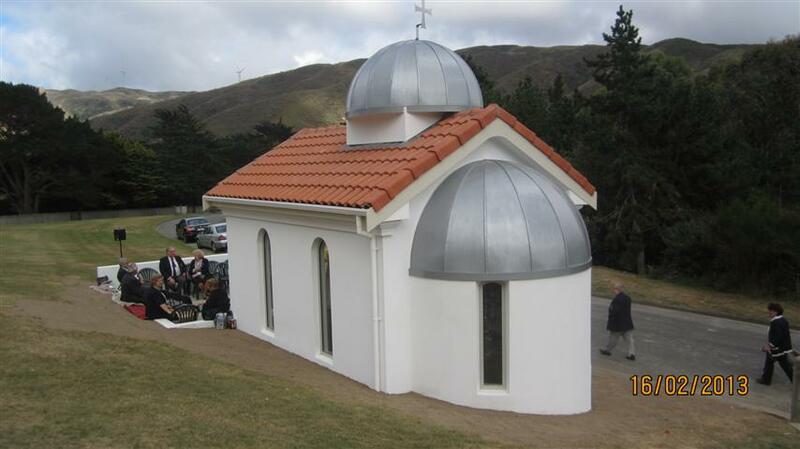 The Chapel was built on Wellington City Council land at Makara cemetery Wellington and strict requirements had to be met to enable AHEPA to get Resource Consent, Building Consent and the Lease. 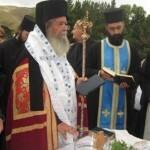 This involved a report to Wellington City Council and a public hearing they unanimously voted in favour to grant the Greek Orthodox Community a lease for the land.. This was indeed a historic moment for AHEPA and the Greek Community of Wellington and proved the respect and the esteem in which AHEPA and the Greek Community are held in Wellington. 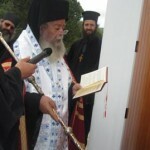 On St Lazarus Day 7th April 2012, His Emminence Archbishop Amfilochios commemorated the site and laid the foundation stone. AHEPA, from the outset, decided that our role was to fund and build the Chapel and once completed this would be handed to the Greek Community of Wellington for use by the Greek Orthodox Community. In our design we have made sure to include good outdoor space and seating which will be used not only by Hellenes but also anyone wishing to sit by the Chapel and think and contemplate their loved ones. 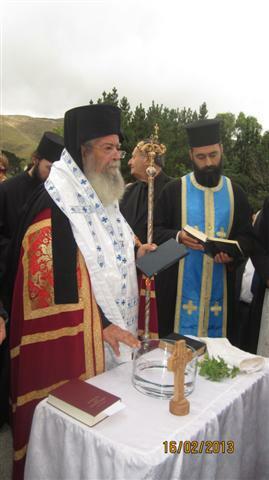 Ahepa has also pledged to undertake all financial costs for the first two years, and then the Greek Orthodox Community will be the responsible for the Chapel.This is a fantastic achievement for AHEPA NZ when you consider we have only been established for twenty years and we are a very small community. We are determined and committed AHEPANS full of energy and vigour. Indeed we see this project as a fitting and landmark way to celebrate and acknowledge AHEPA’s contribution and commitment to New Zealand. We are in the planning stages for our 20 year anniversary and we are hoping to hold a series of events after the National Convention to showcase AHEPAs successes and contribution to Wellington over this period of time concluding with the official opening of our Chapel. We will advise you when these events will take place. Ahepa in New Zealand has always been innovative and progressive. We were the first ethnic community group to deliver supported housing to Greek Elderly in partnership with Wellington City Council, held Greek Youth Olympics, Youth Art competitions and exhibitions. We have taken the lead on a number of initiatives over the years including working with all Greek Wellington Association for fundraising initiatives and seek opportunities to work in partnership and alongside others. We believe one of AHEPA’s strengths worldwide is “all Hellenes working together” this ethos inspires other Greek Associations in Wellington , and elsewhere to set high goals and make it happen. On behalf of all our Brothers and Sisters from New Zealand we thank all who contributed their support to this beautiful project, especially our Ahepan Brothers and Sisters from Australia. The installation of Bro Angelo Papageorgiou as the President of Chapters Phidias and Olympia and the Investiture of his Officers was held on the 5th of March 2011. The installation was attended by the National President Bro Jim Antonakos, who acted as Installing Officer, Bro Elias Doufas, National Vice President, Sis Maria Kourt District Lodge NSW President and Sis Eva Kolovos NSW. The visitors from Australia were very warmly welcomed by the Sisters and Brothers of Wellinton and all expressed their pleasure at the warm hospitality and the good progress of AHEPA in New Zealand. 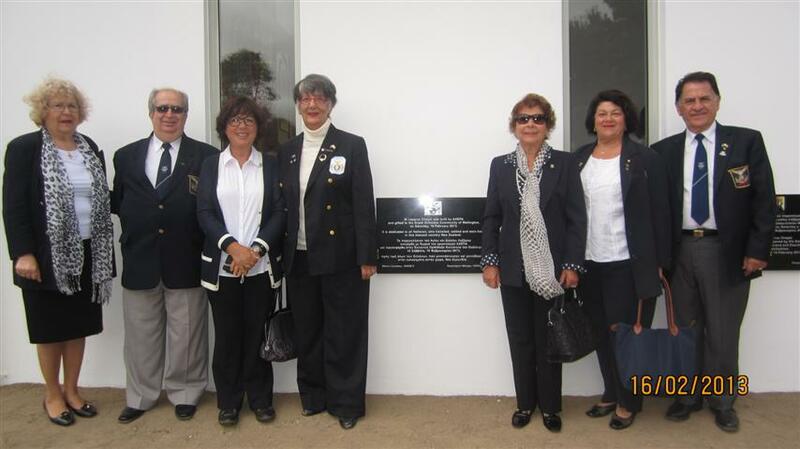 The Sisters and Brothers in NZ have obviously been very active, especially in fundraising for charitable causes such as donations of special seats at the memeorial garden of the Wellinton Hospital and the plans to build a Greek memorial at the Cemetary.